The Super Bowl is almost here and party planning has begun! 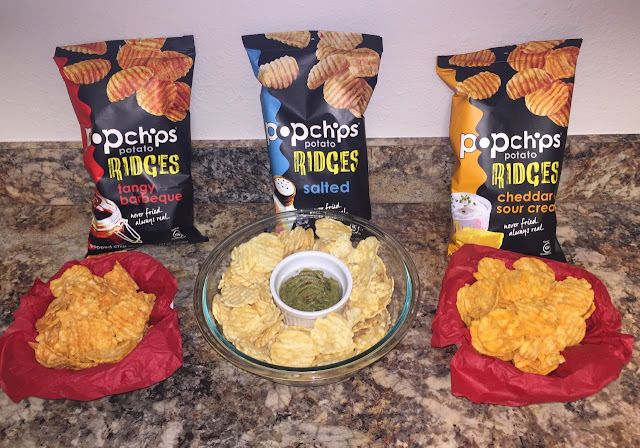 This year, we're swapping out our traditional potato chips with healthier, extra flavorful Pop Chips. It's a simple swap that our guests will love and why not do anything we can to cut down on the fat consumed on the big day? Healthy New Year's resolutions can remain intact! Obviously, there's something for everyone in these varieties! We plan to prepare team stations around the room with flavors and dips to go along with them. Colored liners make it simple to show team pride. What snacks are on your list for this year's Super Bowl? Disclaimer: As always, our post are our own, honest opinions and may differ from yours. We appreciate the partnership with Pop Chips in allowing us to create this post.